2018 has been a stellar year for commercial drones. 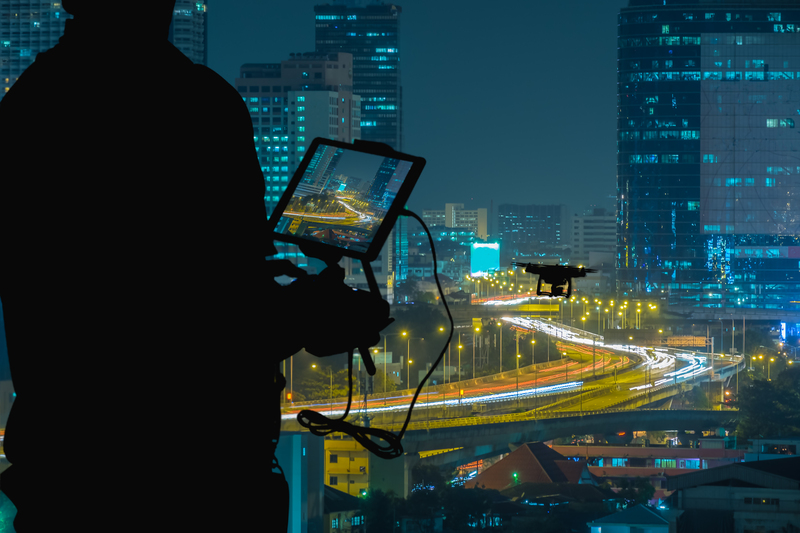 The space has seen a massive shift in enterprise drone adoption as large-scale operations across verticals continue to recognize the value of drone data. Drone Analyst’s 2018 Drone Market Sector Report notes, for example, that the commercial market is slowly shifting to deploying more expensive drones, with one third of purchases in the last 12 months accounting for drones costing over $2,000. 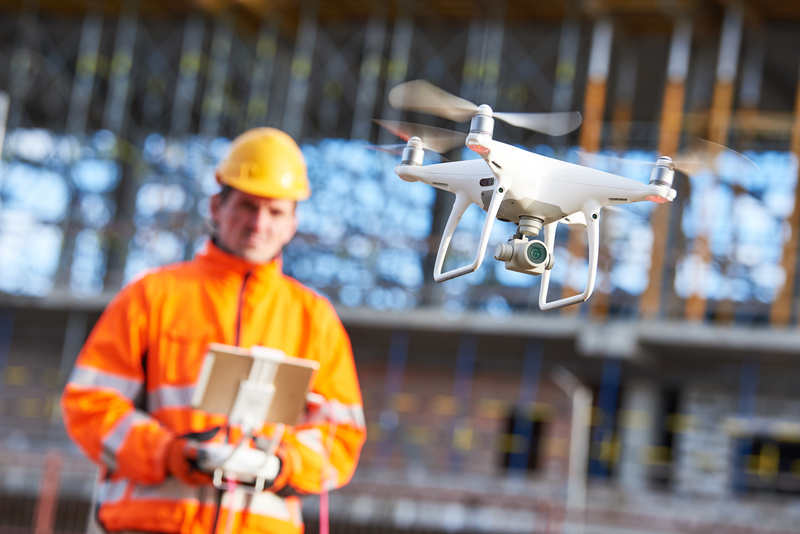 With commercial drone companies constantly finding new ways to leverage drone technology in improving core industry workflows, drone operators are increasingly finding the need for robust solutions that complement their operations. This includes hardware, software — and the often missing component: insurance. At DroneInsurance.com, we recognize that more and more companies are turning to drones to increase efficiency, productivity, and ROI. 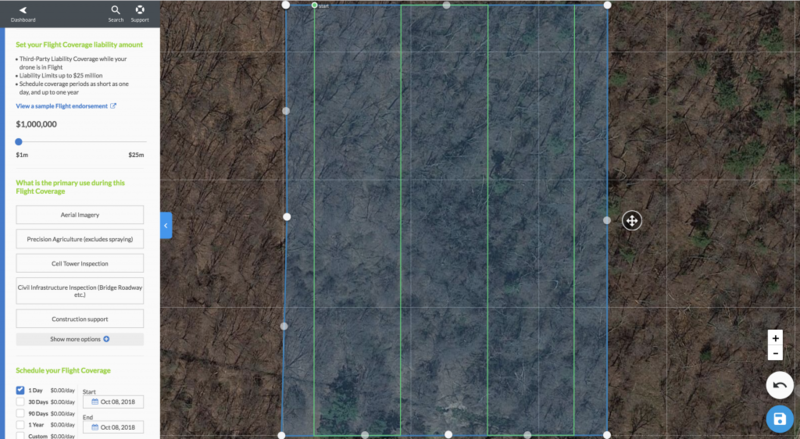 We also recognize that building a successful commercial drone workflow is a challenging feat. From picking the right hardware, software, UTM tools, to managing fleets and pilots and terabytes of drone data — drone operators need to be extremely strategic in order to thrive and scale. To help streamline this process, we are excited to team up with DroneDeploy to empower operators with seamless access to DroneInsurance.com’s personalized drone insurance solutions directly within DroneDeploy’s platform.  This strategic collaboration with an industry pioneer like DroneDeploy aligns with our mission to not only make insurance easier to purchase and understand, but also more readily accessible to users through seamless ecosystem integrations. 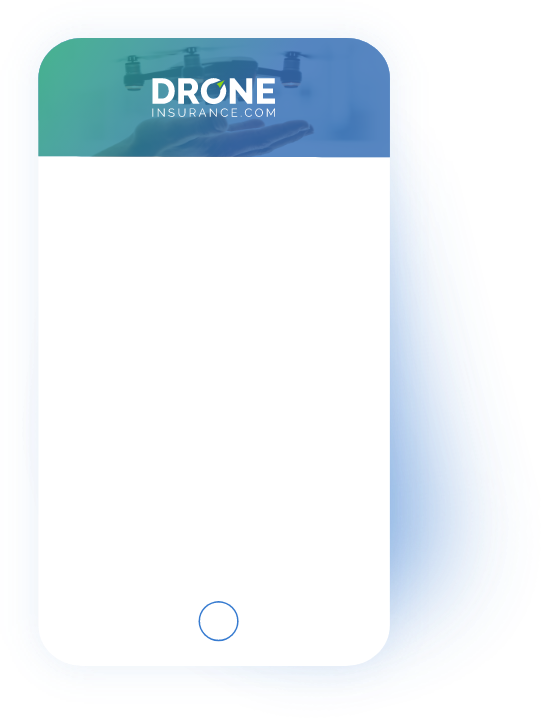 Through this collaboration, DroneDeploy users will now be able to access DroneInsurance.com via the DroneDeploy App Market, where users can choose to add it to their pre-flight mapping workflows via DroneDeploy’s desktop and mobile apps. After you’ve added the DroneInsurance.com app from the DroneDeploy App Market, you can create a new (or access your existing) DroneInsurance.com account without leaving the DroneDeploy ecosystem. If you logged in with an existing DroneInsurance.com account, your DroneDeploy dashboard will show your existing coverages. 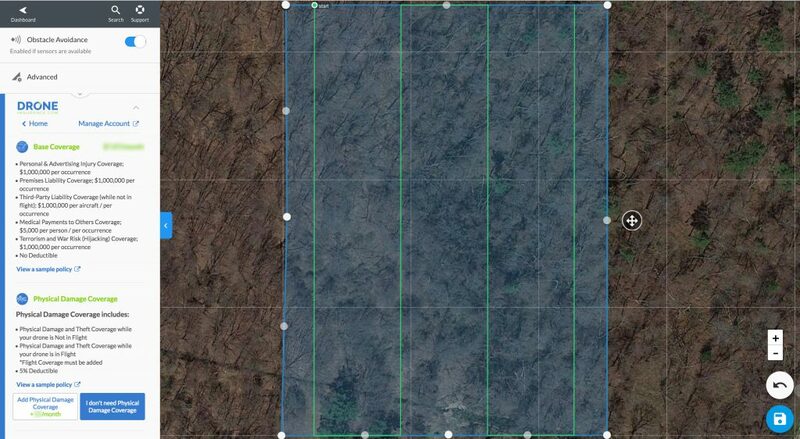 You will also be able to conveniently adjust coverage as needed — all within the DroneDeploy ecosystem. 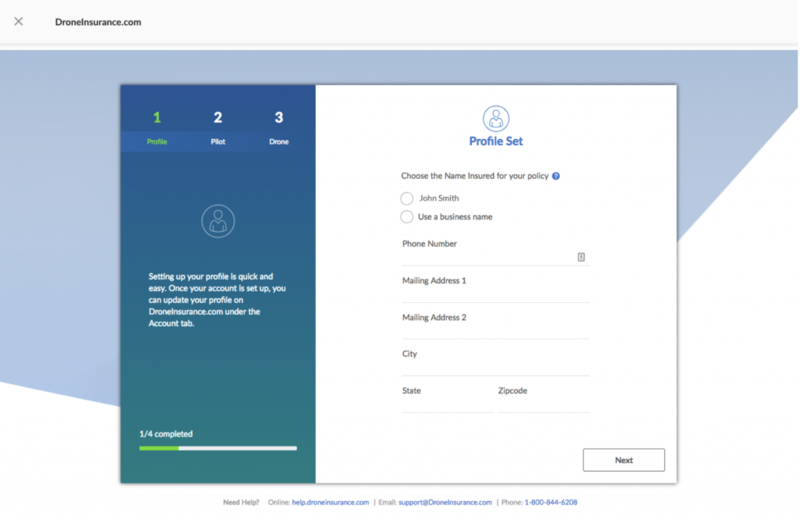 If you’re creating a new DroneInsurance.com account, you will be prompted to set up your profile. Once it’s all set up, you can then add a pilot and a drone with a few simple taps. 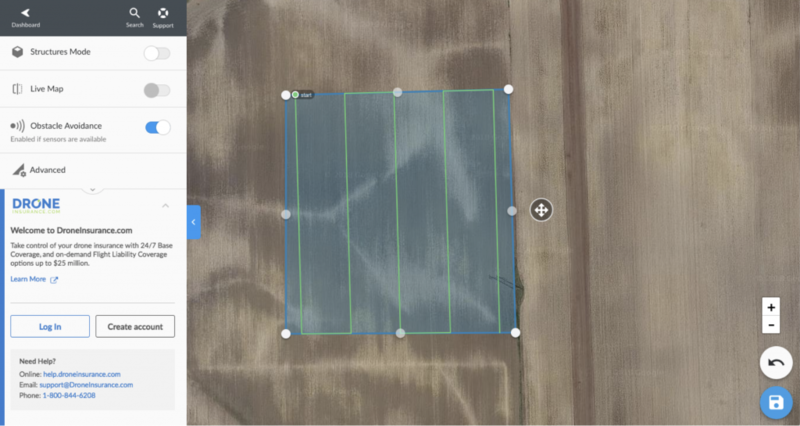 Once your account and policy are set up, you can add on-demand flight coverage as part of your standard DroneDeploy pre-flight workflow. 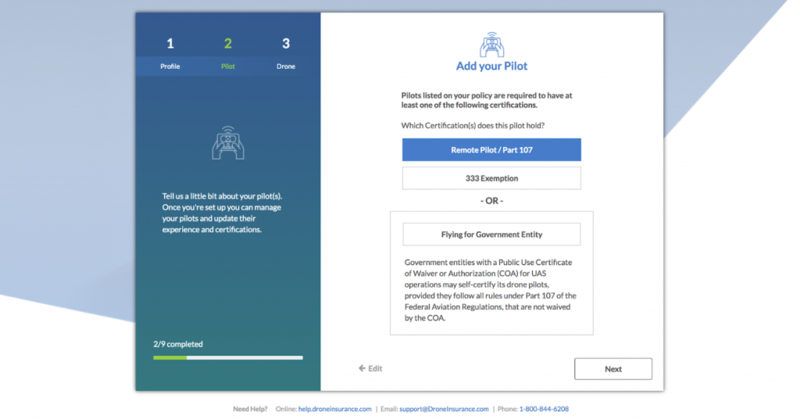 Once you check out and sign the policy documents, you’re ready to take off with confidence! 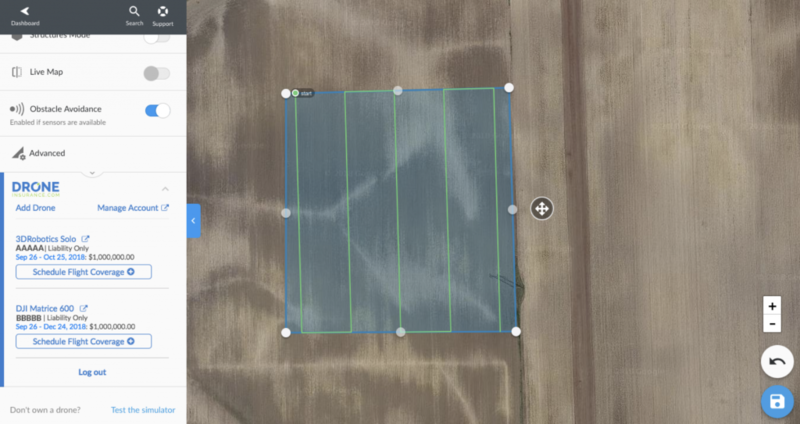 As the commercial drone space continues to mature, we are beyond thrilled to team up with DroneDeploy to deliver a complete solution that will help drone businesses all of sizes reap the benefits of drone data. Ready to get started? 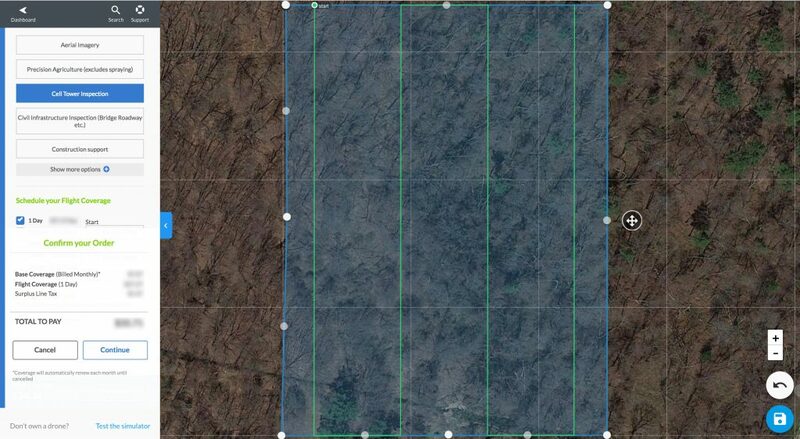 Create your free DroneInsurance.com account today, or download DroneDeploy’s desktop and mobile mapping apps.